Books exist to tell stories, and that’s what most books do. They make us laugh, cry, and scream in frustration. But some books are just plain confusing. They’re not trying to tell stories, but instead are trying to send some kind of message about the unexplained, extraterrestrial, or even divine. Books are also a form of documenting history, so could the writers of these books really have witnessed such strange sights? Here are the 5 most mysterious books ever written. In the 16th century, a mysterious book about magic called the Book of Soyga was found by John Dee, an Elizabethan mathematician, and occultist. After the book was found, it was lost again for hundreds of years. Finally, a scholar found the book when he was browsing through the British Library, and inside the book were different magic spells, ways to summon demons, etc. The 197 page Book of Soyga had over 40,000 letters that were arranged in code-form, and no one knew how to read or understand it besides the parts of the book that were written in Latin. These randomly distributed letters were incomprehensible, so imagine how frustrated John Dee felt when he obtained the book. It was like he had all the answers, but didn’t know what any of it meant. A spirit-medium named Edward Kelly actually offered John Dee the chance to talk to Archangel Uriel about the book and its contents. Apparently, Uriel said that the pages of the book were shown to Adam by the “good angels of God” in the garden of Eden and that the only person who knew the books’ secret was Archangel Michael. In other words, since the Garden of Eden is where the creation of the world began, the Book of Soyga is pretty much a representation of the universe. Don’t be so quick to solve the mysteries of the book though, because the book is rumored to be cursed. If you decode the language of the book and obtain the book’s knowledge, you will die within two and a half years. Is knowing the secret to the universe worth dying for? Another mysterious book is known as the Smithfield Decretals or the Decretals of Gregory IX. Gregory IX was a pope in the 13th century who was in charge of writing the laws for the church and its members. Decretals were common back in the day, but the strange thing about these decretals is the drawings that appear in some of them. The style of the Decretals was one that had letters, calligraphy, and illustrations. This was called Illuminated Manuscript and was a very long, annoying process. But that’s not the strange part because the illuminated manuscript was quite common. The weird thing is that the illustrations aren’t like the ones people normally see in religious texts. Next, we have the Rohonc Codex, which was first discovered in Hungary in the 1800s and was thought to have originated from medieval times. Sadly, even to this day, no one can decipher or understand the script at all. The mysterious text has been in discussion for more than 200 years and has led many scholars to study the text even though their efforts have been put to waste. The text is still undecipherable to this day, and no one knows where it came from or who wrote it. The codex is one of the most mysterious books of all time, consisting of 448 pages of strange text and watermarked pages that look like an anchor within a circle. The watermarks date back to 1529-1540 AD, but the book is written much earlier than the watermark. The illustrations in the codex include things like military battles, landscapes, and even religions like Christianity, Hinduism, and Islam. This could mean that whoever wrote the codex was a supporter of all three religions, or wanted the three religions to coexist in peace. Many theories have been created by people who studied the codex. One theory is that the text is a variation of Brahmi script, from India, and that it should be read left to right, top to bottom. This is known as the Brahmi-Hindi hypothesis. Another theory is that the text is Intended to be read right to the left, bottom to top and that it is written in the Vulgar Latin dialect of Dacia. This is called the Daco-Romanian hypothesis. Even though many theories have been many, none of them have been fully agreed upon, and the codex remains a mystery to humankind. Fortune telling is real and it exists in a certain book that seemed to have prophesied many events that happened hundreds of years later. The book is called ‘The Prophecies’ and the writer of the book was a French physician and astrologer named Michel de Notre Dame, also known as Nostradamus. Nostradamus just may be one of the greatest prophets in history because he was able to predict some of the biggest events that have occurred in the world. In his book ‘The Prophecies’ written 400 years ago, he had more than a thousand four-line verses that seemed to predict the future. How was he able to have such accurate visions? Apparently, he gained visions by staring into a bowl of water. Some of the prophecies made in the book are so accurate that they’re scary. Nostradamus was able to predict events like the rise of Adolf Hitler, the great fire of London, the atomic bomb drops in Japan, September 11, and the French Revolution. All of them have been completely accurate, which makes us wonder: what about the his predictions about 2016 or the near future? His book predicts that very soon there will be a World War III, the largest earthquake to ever hit the US, and the downfall of the global economy. People have been linking natural and manmade disasters to Nostradamus’s book for centuries, and so far most of his predictions have been accurate. Some people, however, believe that his prophets have just coincidentally matched up to events that have happened in our world and think his predictions are false. Whether he was really an amazing prophet is up for discussion, but what is undeniable is the fact that I myself would do anything to be able to see the future. 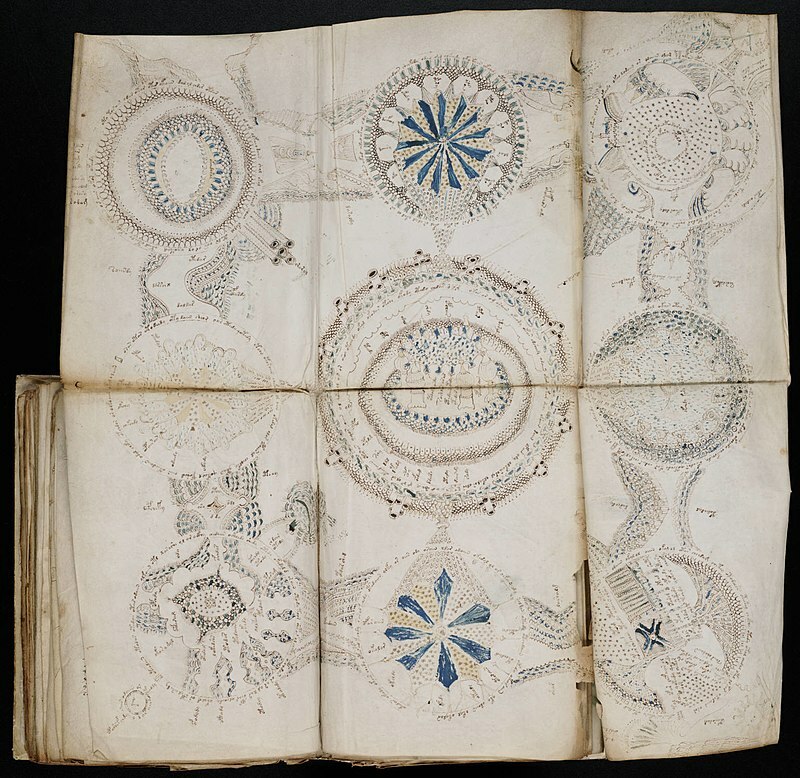 Finally, we have one of the most mysterious manuscripts of all time, the Voynich Manuscript. This manuscript was said to have dated back to the early 15th century (1404-1438) in northern Italy. It was first discovered in 1909 by a polish book dealer named Wilfrid Voynich, which is who the book is named after. Voynich bought the book in 1912 and was fascinated by the content. The book contains 240 pages of text and illustrations with some pages missing. The book seems to be a herbal manuscript that resembles the ones released in the 1500s, but when you look closely, you will see that the plants drawn are completely unknown to mankind. The language of the text is also unknown, which makes the book an absolute phenomenon. Cryptographers have tried and failed to decipher the script, but they claim that the book is trying to tell readers a message. Some people claim that the book is actually a puzzle while others just claim that the book is an unbreakable mystery. For the curious minds out of there who want to try cracking the code, the entire manuscript can be found online. Could this be a person’s documentary of his travels on a different planet where he was introduced to a whole new species of plants? We’ll never know.